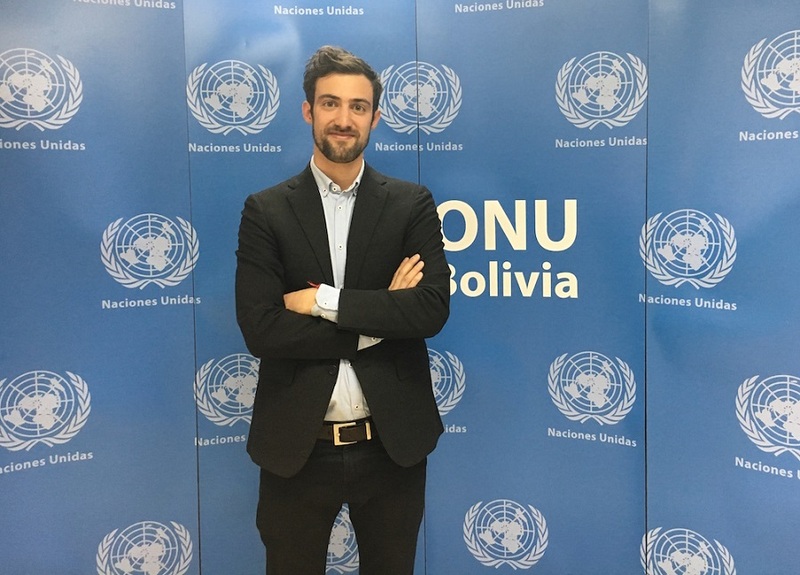 During my two-year mission in Bolivia, I assisted the United Nations Office on Drugs and Crime (UNODC) in promoting and implementing actions towards achieving Sustainable Development Goal 16, peace, justice and strong institutions. I had the opportunity to make a contribution to the building of a peaceful and inclusive society, with access to justice for all through effective and accountable institutions. As a result of volunteering, I feel I have grown in the best possible way as a person and as a professional. Damien Wolff worked as a UN Volunteer Specialist with the United Nations Office on Drugs and Crime (UNODC) in Bolivia. My arrival in Bolivia at the end of 2015 coincided with two important milestones for the country and for the organisation I came to serve. On the one hand, Bolivia was looking forward to its first Justice Summit, as a result of a long and comprehensive process of reflection and consultation on the reform of the country’s justice system. On the other hand, UNODC was on the verge of developing a new multiannual assistance framework for the period 2016-2020 that needed to fully take into account Agenda 2030 for Sustainable Development. Together with government counterparts, my job was to interlace these two processes in order to ensure the relevance of UNODC’s support and its alignment with national priorities, while taking care to leave no one behind. I later took part in the implementation of this new strategic framework through actions aimed at strengthening access to criminal justice for all (with a focus on vulnerable people), improving detention conditions for prisoners, strengthening crime prevention and prosecution policies, and promoting judicial integrity and transparency. Although the impact of my actions on these highly complex issues has been limited, I am proud to say that I somewhat contributed to institutional strengthening and to the promotion of reforms based on international standards and good practices on the protection of human rights, crime prevention and criminal justice. In this framework I was led to engage with policy-makers, prison staff, police officers, prosecutors, judges, public defenders as well as human rights activists and civil society organisations. Working with such a wide array of actors in order to come up with policy solutions that take into account both institutional capacities and people’s needs, has been a truly challenging and enriching experience. Visiting the country’s prisons remains one of the most intense experiences of my mission. As I did so, I grasped the depth of the crisis of the criminal justice system and glimpsed the extreme vulnerability in which many prisoners live. I will keep fond memories of the day when, together with prison staff, we presented to women detainees a project aiming at their rehabilitation and empowerment. Standing by the side of national authorities, supporting them in their complex undertakings and giving hope to people in need are missions that I feel encapsulates the work of the United Nations and volunteers.